Narcolepsy UK has always relied on volunteers to raise funds to help support the charity. As the charity grows, we require volunteers to participate in fundraising roles to help us generate much-needed income to keep the charity running. This is an exciting time to help us grow, and we are looking for fundraising volunteers to run a variety of activities to raise money. 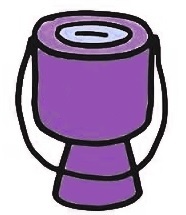 Activities may include fundraising sales or car boot sales, sports events (such as runs and cycles or our 30 Walks in 30 days), coffee morning, running a music/entertainment event or being responsible for collection tins in your local area. If you are interested please contact Liam Sloan at liam.sloan@narcolepsy.org.uk for an application form. Helping us raise money will make a fundamental difference to the support and services we provide – you can change lives! Narcolepsy UK exists for the benefit, relief and aid of persons suffering from narcolepsy. Find out more about the history, management and financials of the charity here. For direct support, use our Helpline. For other enquiries, please use this contact us form. This feedback survey helps us show the difference we make.